Ah, yet another holiday is upon us…and you’re probably looking for a suitable gift for the love of your life. Never fear. We know just the way to make this day perfect (and delicious) for the both of you. 1. Buy Bourbon. This is an easy one. We suggest go big or go home, and pick up a Private Barrel Selection from your favorite liquor store. 2. Take your loved one on a trip. Might we suggest our beautiful Distillery or Warehouse & Bottling Facility in Kentucky? 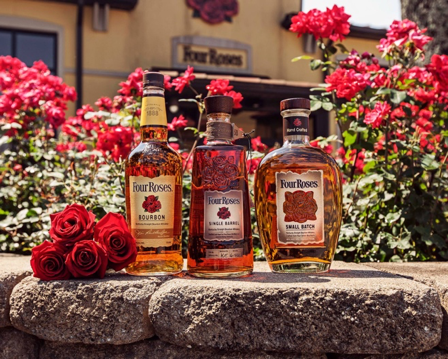 After learning how we make our Bourbon, we’ll give you some to taste. That’s our kind of trip. Bonus: visit us on Valentine’s Day…we’ll be giving complimentary roses, chocolates and coffee/hot chocolate. 3. Buy Bourbon. But seriously. Nobody will complain unwrapping this gift. Here’s to a romantic Valentine’s Day filled with love and memories.